Crescent Towers is a series of summits consisting of the North, Central, and prominent two South “Donkey Ears” towers which are obvious from Applebee Camp site. The towers lie between Crescent Spire and Eastpost Spire. The area contains a collection of moderate climbs with a relatively easy approach. 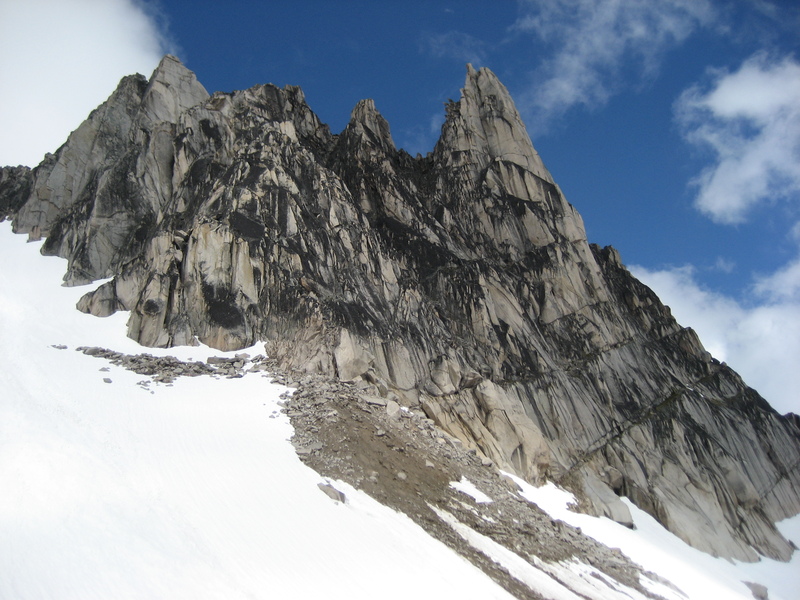 Crescent Towers often get confused with Crescent Spire which is a multi-pitch crag (McTech Arete area) further up Crescent Glacier. Ears Between (South Tower): 5.7, 6 pitches. Ears Between is a perfect warm up climb for the bigger Spires or for those looking for a shorter objective. The grade is a sand bag in my opinion and the crux moves half way up feel more like solid 5.8. The upper chimney is a bit awkward, especially since you will need to carry your boots in your pack. None the less, it’s a cool line that is close to the Kain Hut and it very popular. Descent is a scramble/rappel off the South Ridge. Expect 8-10 hours return trip from the Kain Hut at a casual pace. 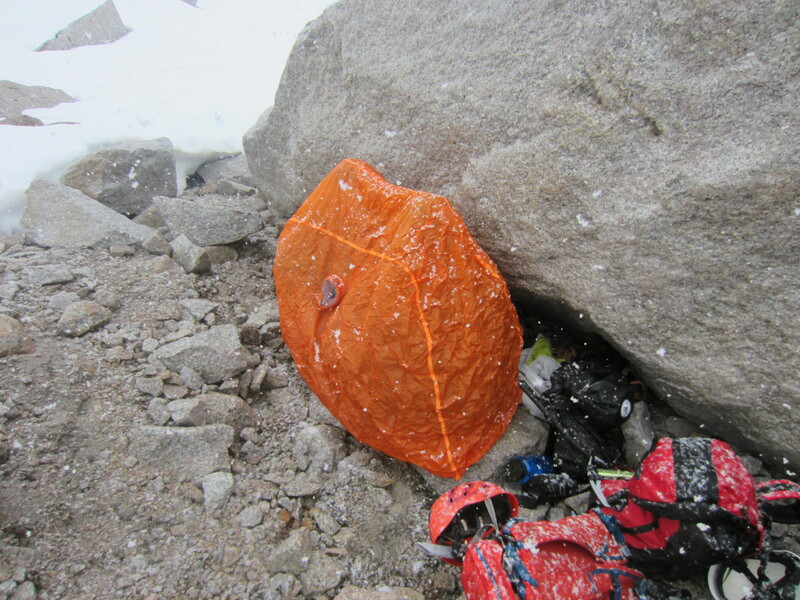 Lions Way (Central Tower): 5.6, 6 pitches. 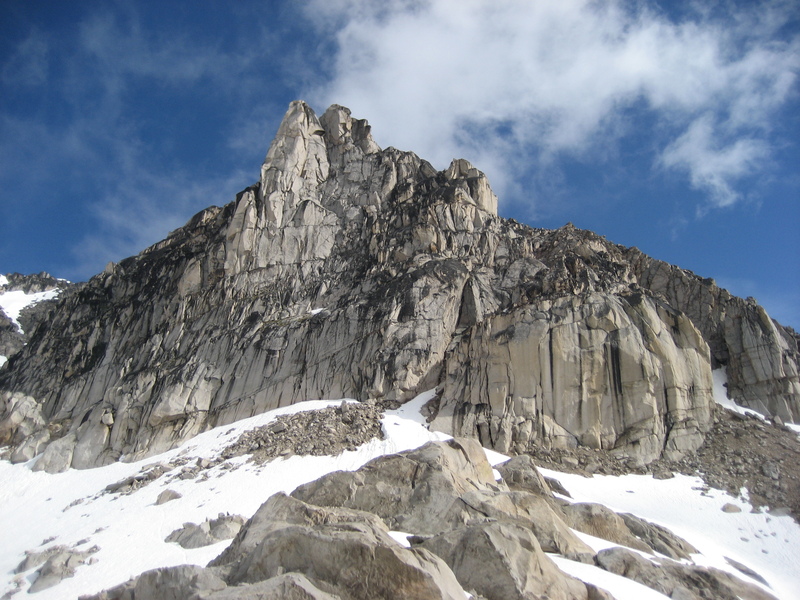 The most popular ‘Easy Route’ in the Bugaboos. Lions Way is a good intro to rock climbing, perfect for the young, old or anyone who wants to have fun pitching it out at an easy grade. It climbs broken ground and ledges just left of Ears Between. North Ridge (North Tower): Low 5th, mostly 4th class. Done as part of the traverse of the summits or in combination with the summit of Crescent Spire if you’re into summit bagging. Ok, it’s true, it snows in the Bugaboos once and a while in summer. 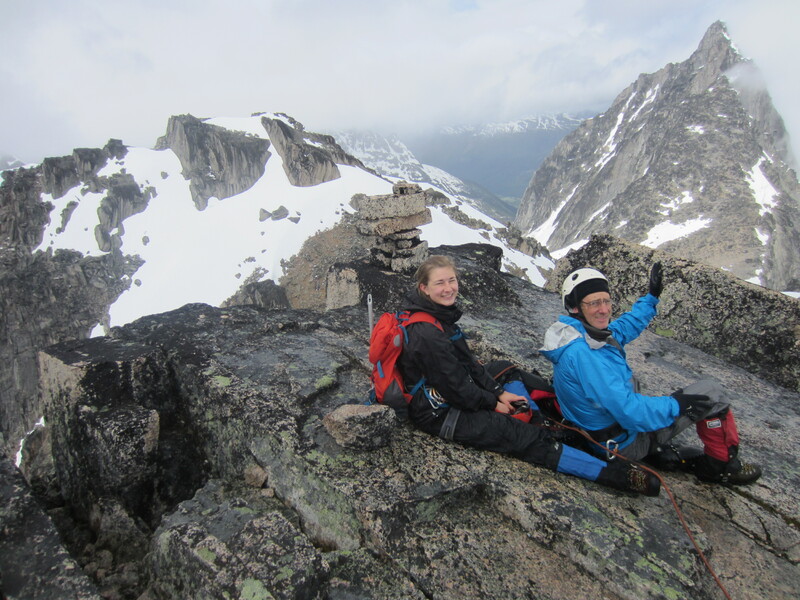 Pictured above is Jim Enns and his daughter Jo hunkered down during a squall on the upper Crescent Glacier. They toughed it out and the payoff was the summit of Crescent Spire and the North Summit of Crescent Tower later that afternoon with sunny breaks.